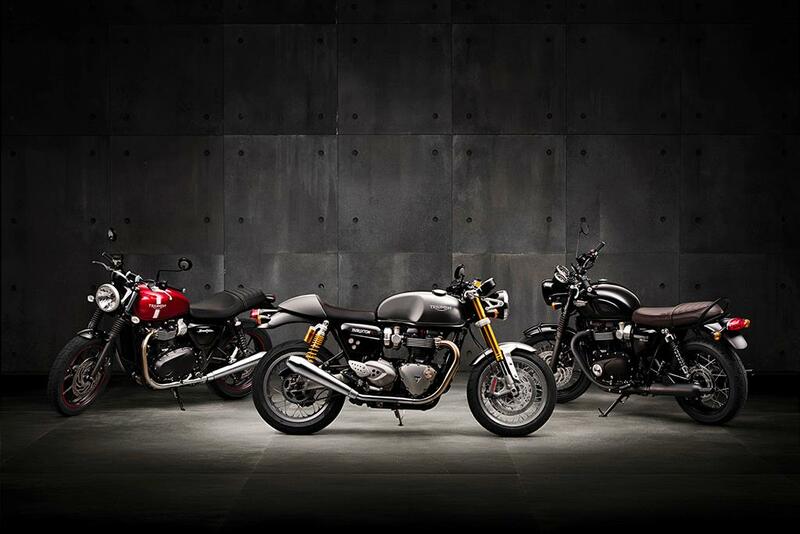 Meet the all-new Bonneville Street Twin, a bike aimed at appealing to the widest possible selection of riders ranging from those who are new to big machines, to those who want something to customise or who just want a simple – but modern – classically-styled roadster. 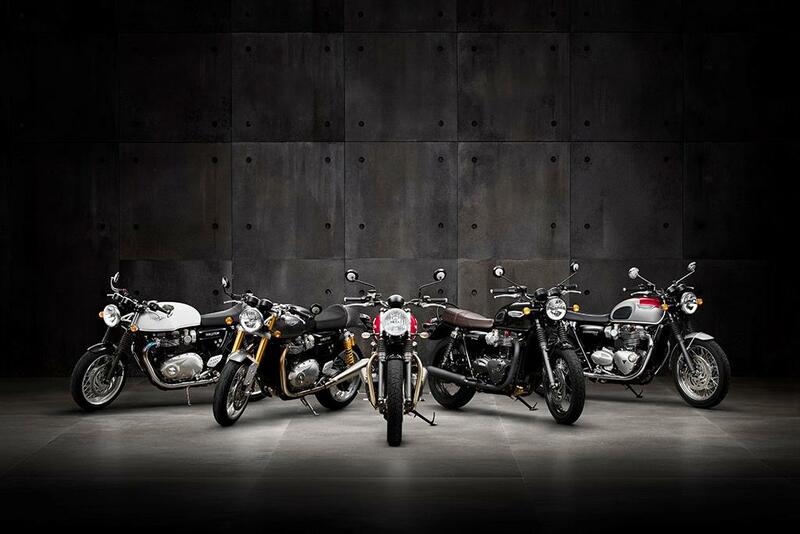 Triumph are presenting the Street Twin as the most contemporary of the new five-bike Bonneville range, whcih include a Thruxton and Thruxton R, plus Bonneville T120 and T120 Dark, and it’s also the only model that uses the new 899cc, eight-valve high-torque parallel-twin engine, rather than the 1199cc unit used in the rest of the range. 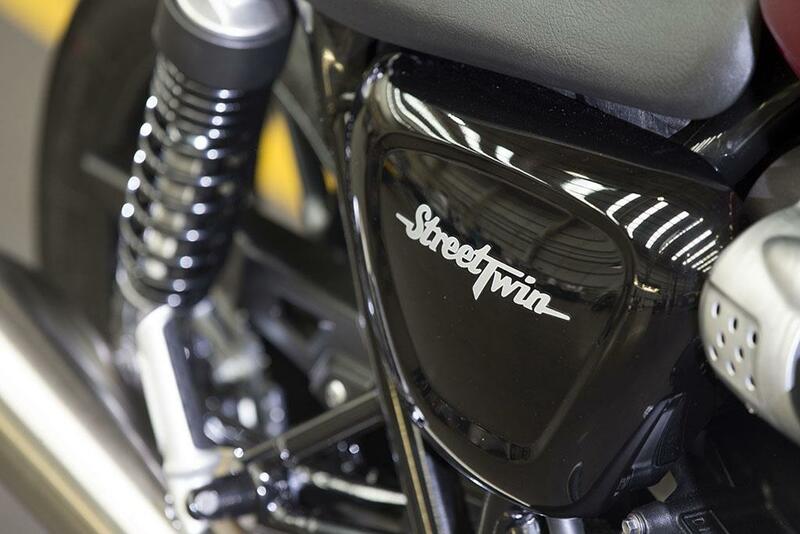 The Street Twin is new from the ground up, with a bespoke chassis and new engine and packs modern technology like ABS, traction control, ride-by-wire throttle, and LED lighting. 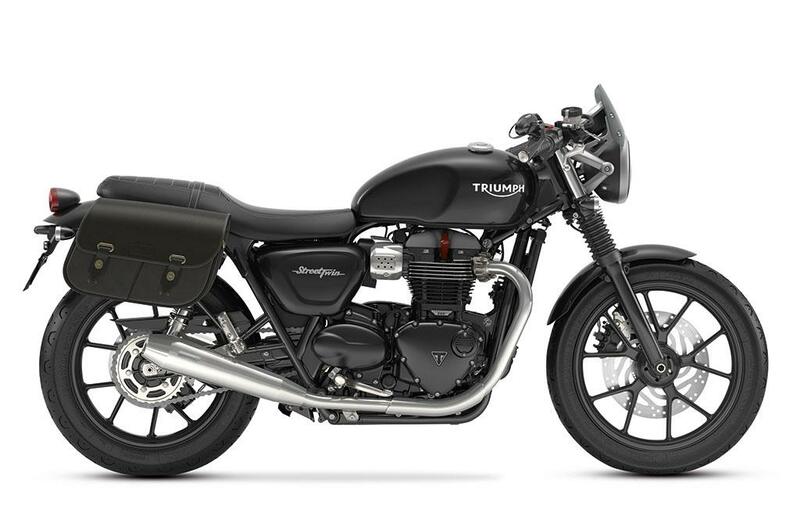 Classic touches include black cast alloy wheels, a fuel tank that clearly harks back to the original Bonnevilles first seen in 1959, an upswept silencer finished in a brushed aluminium texture, black-painted side panels and a minimalist black front mudguard. While the capacity of 899cc is close to the outgoing Bonneville, the new twin shares nothing with the current 865cc engine. 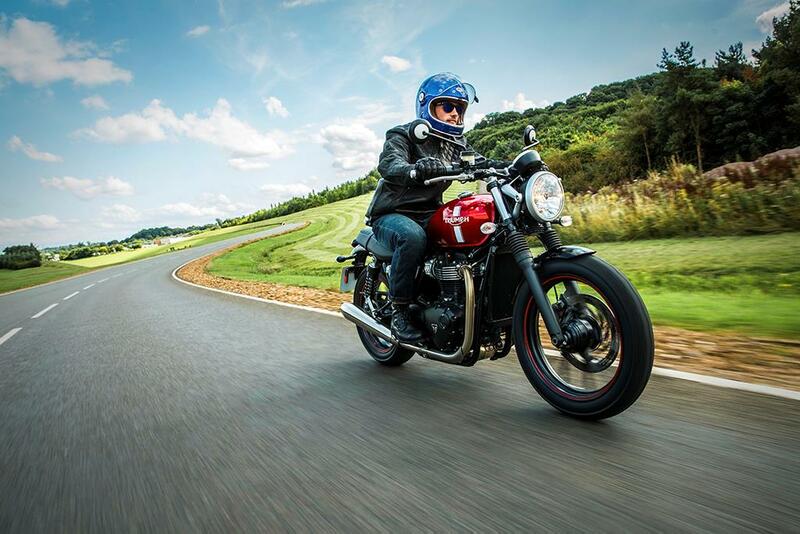 Triumph knew they needed to dramatically increase power and torque so that the new Street Twin could compete with rivals and win over those who felt the old bike was lacking in performance for everyday use. They also needed to future-proof the engine against Euro4 and Euro5 emissions legislation. 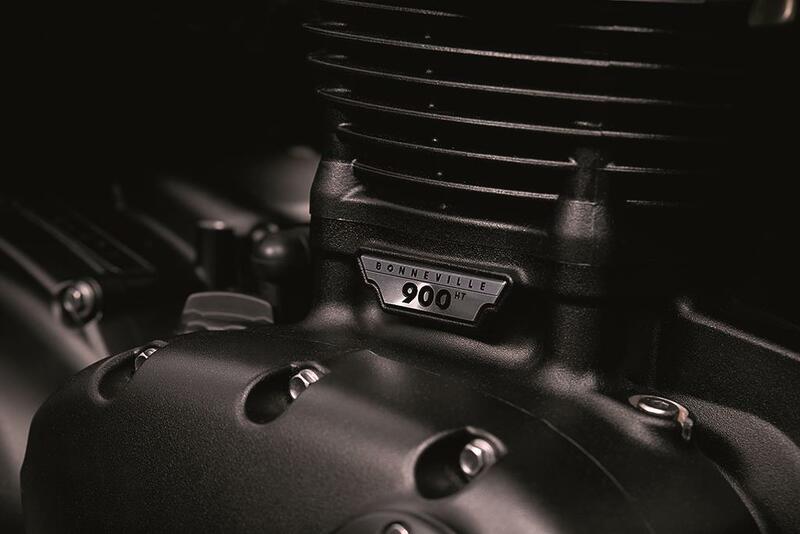 The crankcases used on the 899cc and 1199cc versions of the new engines are the same, with the difference in capacity achieved thanks to the models’ respective bore sizes, while the stroke remains the same between all the new ‘classics’. 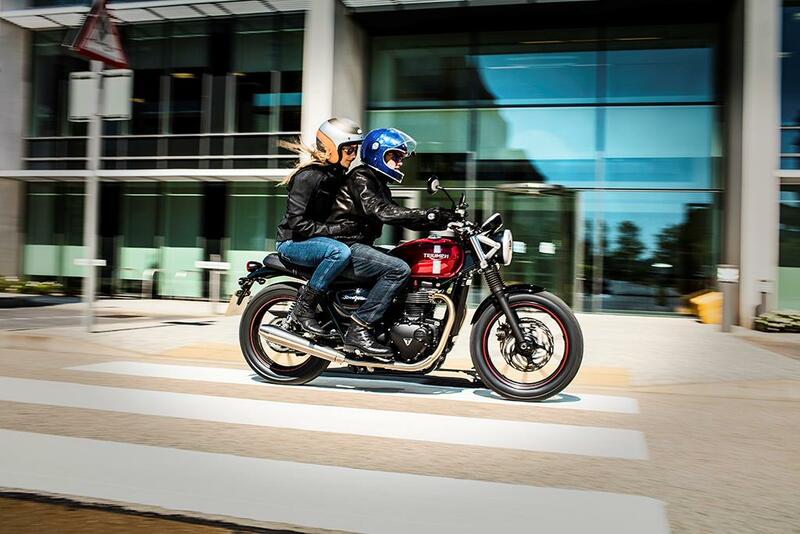 Triumph are aiming this pared-back, simple Street Twin roadster at a wide range of potential owners and those of a shorter leg are going to be thankful for the lower seat height. 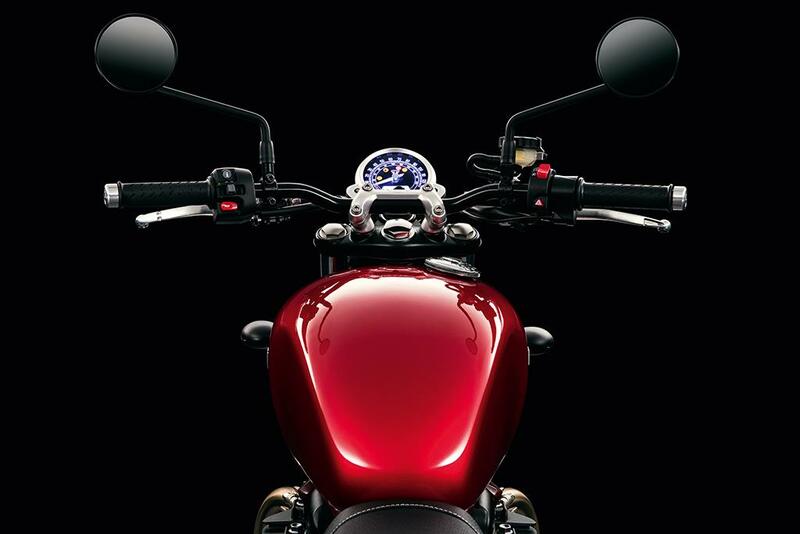 The Street Twin has plenty of rivals though, the most obvious being the Ducati Scrambler, Yamaha’s soon-to-be-released XSR700, the Harley-Davidson Street 750 and Moto Guzzi’s three-bike V7 family. The Ducati has been a huge global success thanks to the combination of the cool retro looks, brand strength, and fun factor from the engine and handling combination. 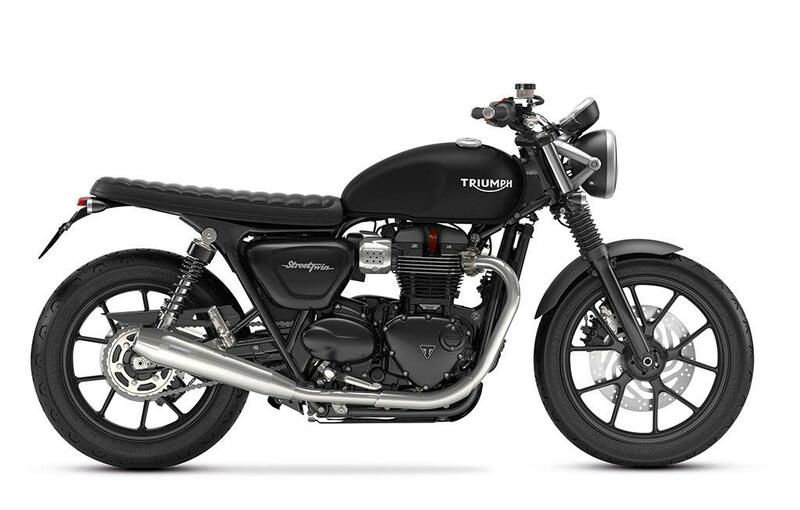 Triumph will no doubt be aiming for the same reaction with the Street Twin, which is expected to be firmly entrenched in this cost-sensitive end of the retro niche. 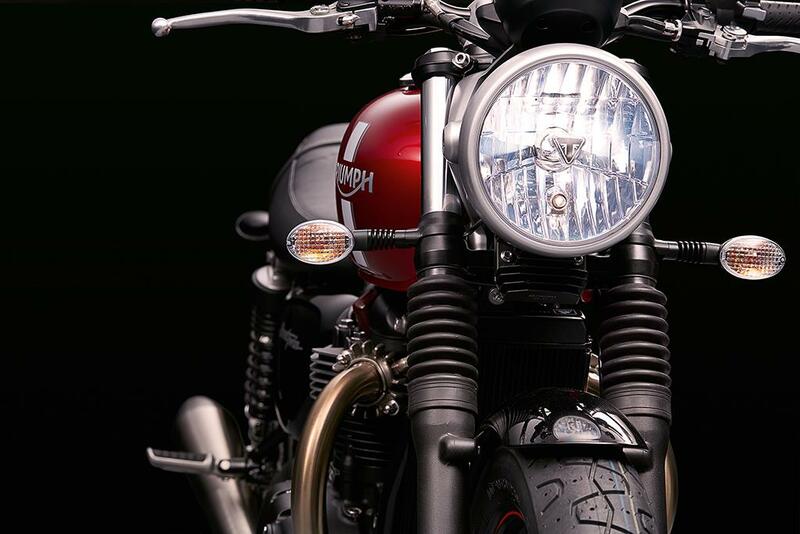 The engine in the Street Twin has been dubbed the 900cc high-torque motor, and is an eight-valve version of the parallel-twin. It delivers a very punchy 59ftlb of torque at just 3200rpm – an 18% increase over the outgoing model (again, no official power figures have yet been released). Triumph have also worked hard on improving the fuel economy of this new engine and the firm claim this engine is 36% more efficient than the outgoing model. The Street Twin is a simple design but Triumph have ensured they have a decent grasp on the sort of technology that potential owners will be looking for. This includes ABS, switchable traction control, slip assist clutch to keep the clutch lever action lighter, a ride-by-wire throttle and an LED rear light. There will be four colours available: red, silver, matt black and gloss black. 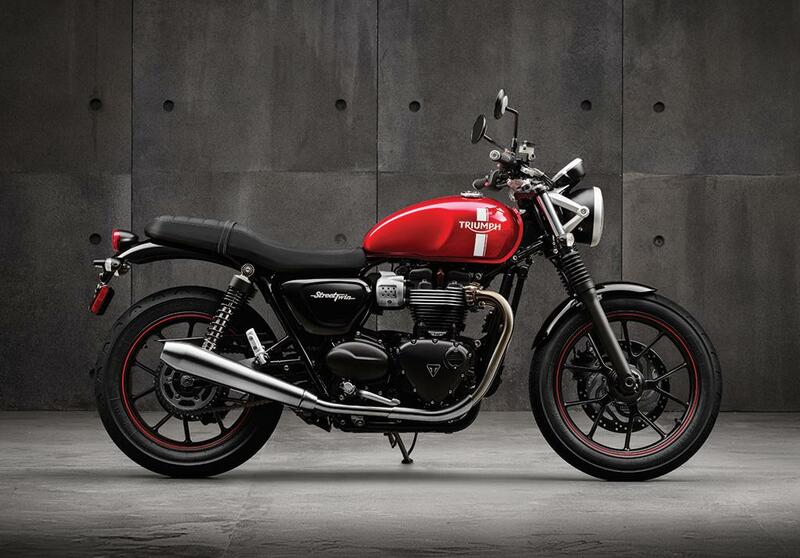 Prices are yet to be announced, but we estimate that the new Street Twin arrive in dealers at around £7995. 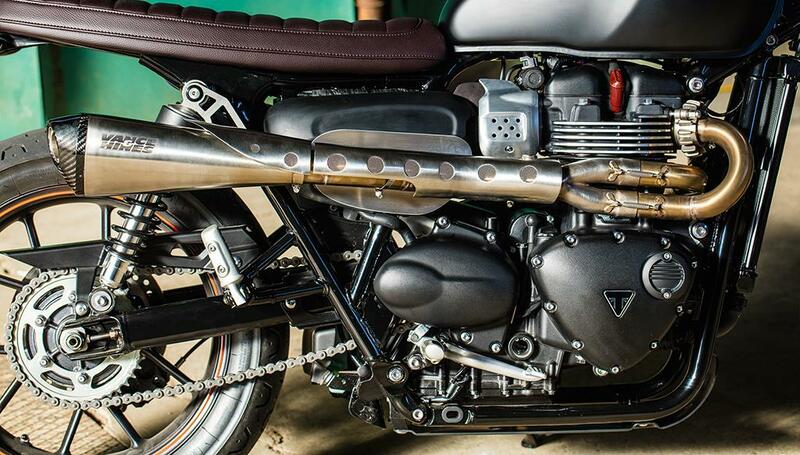 Like the bigger-engined bikes in the range (see page four), the Street Twin exhaust hides the true routing of the exhaust gases into and out of the catalyser. This is the only bike in the new Bonneville range to use the 899cc ‘high-torque’ variant of the all-new water-cooled parallel-twin, which shares dimensions except for the bore size with the larger 1199cc unit. 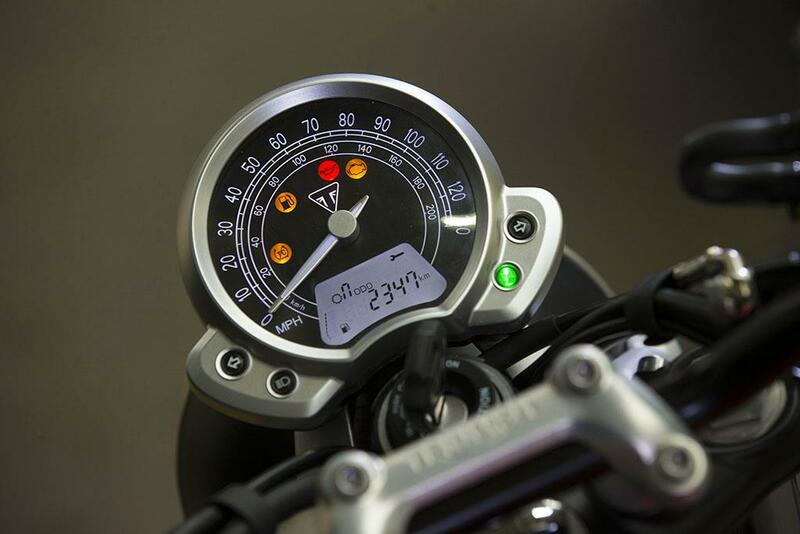 Fuel economy is said to be a massive improvement over the current bike. A single clock relays information including the gear, clock, odometer, two trip meters, service indicator, range, fuel level, average and current MPG and it allows access to the traction control and ABS settings. 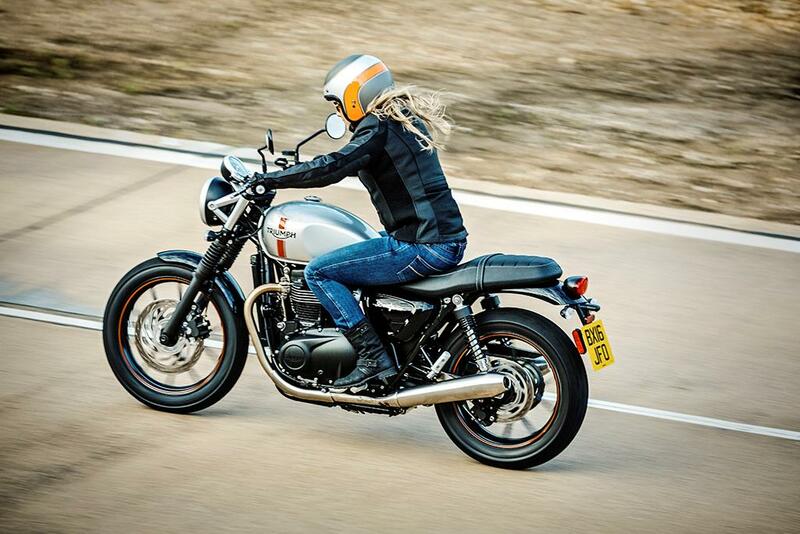 The Street Twin is being pitched as the most contemporary of the five-strong Bonneville family and offers riders a whole new style of retro bike within the Triumph range. Triumph are pitching the Street Twin as a bike that owners can easily customise and there’s an extensive list of Triumph accessories. Three pre-formed special kits allow owners to create a certain look in one go, without having to select individual parts.